Growing cosmetic market middle east! - ligam1s Webseite! Growing cosmetic market middle east! Overall, the market for cosmetics grew in 2015 by 3.8 percent to a volume of around 175 billion euros worldwide! Within the total, the Middle East, with total revenues of 6.3 billion, euros a market share of 3.6 %. It should be noted that the Iranians to be the main consumers of cosmetic products include the world! 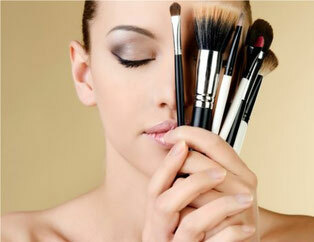 About 2 billion euros annually spent on cosmetics in Iran. This represents alone 29 % of the total market in the Middle East. In the global rankings of the cosmetic consumer, Iran is thus in seventh place! By lifting of the trade embargo, Iran will open a new and great beauty market. We serve the prosperous market for cosmetics in Iran with the exclusive-distribution partnership of cosemtik label of "Josell"! Iran is one of the most interesting beauty markets worldwide and we will enhance the development of exclusive distribution partnerships with leading cosmetics manufacturers. If you want to participate as a manufacturer of cosmetic products and the prosperous growth in Iran, we look forward to your contact.